Hey folks! Well, I know that many of you are dealing with scorching hot weather right now, but in my city the weather is just starting to warm up. It’s like we went straight from winter into summer! Who needs spring anyway, right? Of course I’m kidding; there is actually a lot of spring gardening preparation to be done before your last frost date arrives. So, what can we do? I like to cover my plants for the first few days that I set them out. This gives them a bit more shelter, and makes the temperature adjustments a bit easier for them. On Day 1, start by putting them out only for 1-2 hours. By Day 3, you can bump the time up to 4-6 hours. 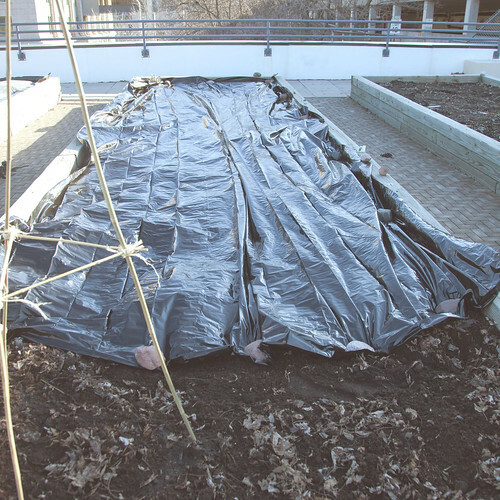 If it’s particularly cold or windy on any given day, you can either cover your plants, or leave them in for a day. Now that your plants have been exposed to periods of sun and wind, you can start leaving them out for full days. 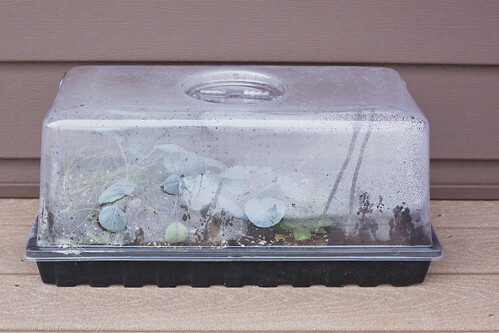 By Day 8 or so, you should be able to leave your plants out overnight. Your plants should be hardy enough to be transplanted into your garden. By this time, they may be getting too big for their small pots, and you’ll likely see quite a bit of growth once they’re accustomed to their new garden home. Once planted outside, you may still have to cover them a few times if the weather gets too cold or windy. Last year I got some good advice from my fellow community gardeners. I noticed that several of them had covered their garden plots with black plastic. After asking why they did this, they explained to me that the plastic has multiple uses. First, it will retain heat and help the soil warm up more quickly. Then, because of the heat and moisture any weeds that overwintered in your soil will sprout. Once sprouted, the weeds will die because they are unable to get sunlight. And guess what? It worked! I had far fewer weeds in my garden last year after doing this! It has now become part of my annual garden bed prep. In a week or so, I will also buy several bags of organic compost to add to my raised bed and help replenish the soil levels. Once this is done, it will nearly be time to plant everything! The only thing I really have left to do is design my final garden layout plan, and that is what I’ll be talking about next time! What about you? What kinds of things do you do in the spring to get your gardens ready for planting? Let us hear it!